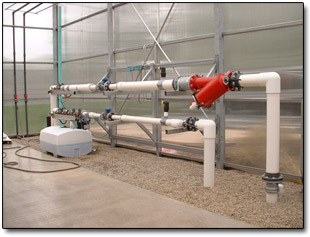 Spring Brook Supply has been supplying the greenhouse and nursery industries for many years. At Spring Brook we know how important it is to have water available when you need it. We have many different systems to help you with your needs. From constant pressure pump systems to low volume dripper systems, Spring Brook has what you need to make your watering needs easier. Please Contact Us for all you Greenhouse & Nursery needs.